This delightful project in Surrey Hills was a real pleasure to work on right from the initial consultation. 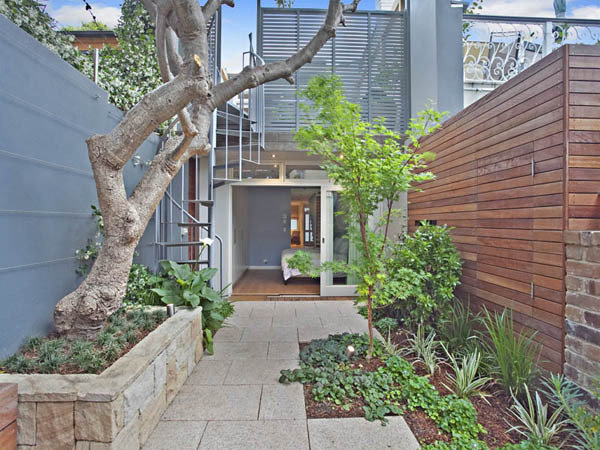 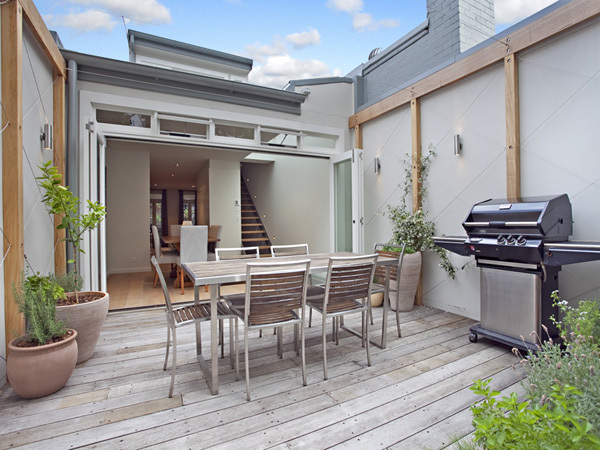 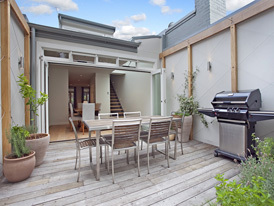 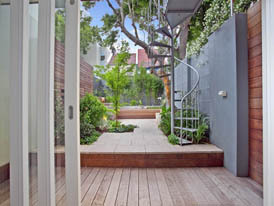 The client had just completed a huge renovation of the property. 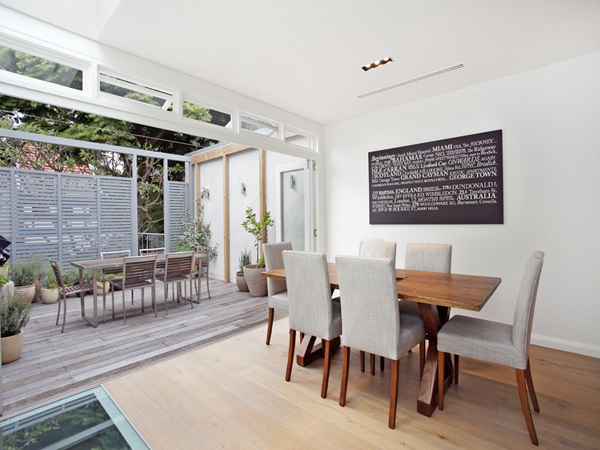 The house had been transformed into an open plan, light and airy space. 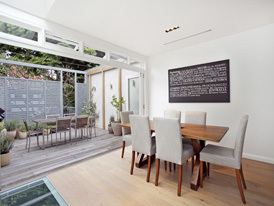 For the outside the client was keen to employ a slightly softer approach but with hints of the contemporary interior. 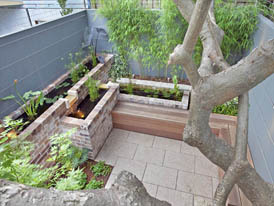 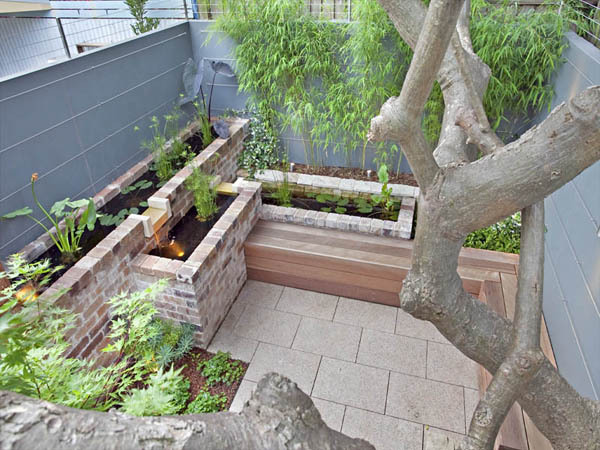 The upstairs balcony was always going to be the main entertainment and dining space and a simple deck, an open pergola and a beautiful mix of pots planted with herbs and citrus were all it required to create a harmonious link to the interior. 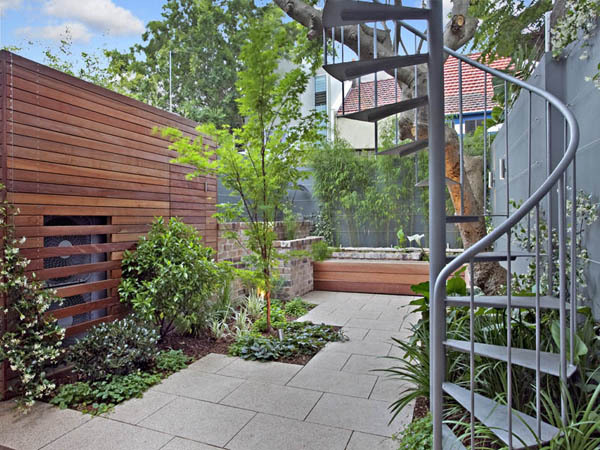 The downstairs area connected by a spiral staircase really brings the wow factor. 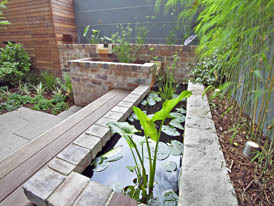 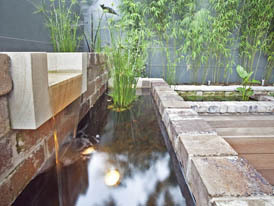 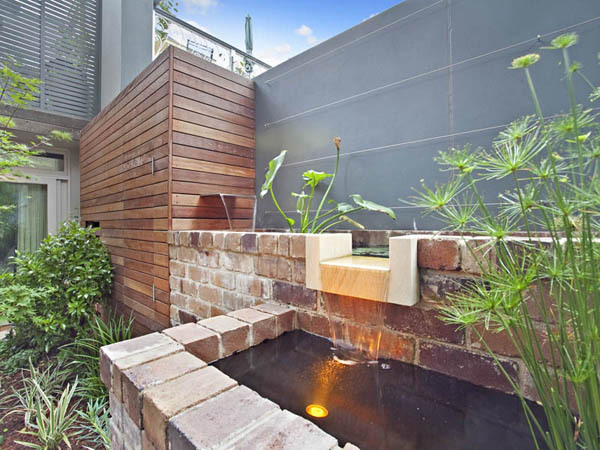 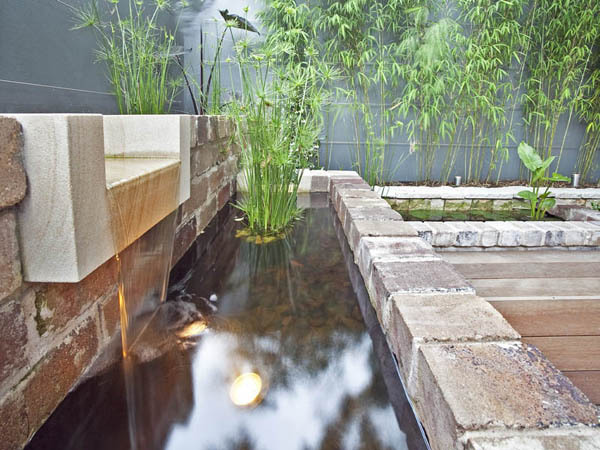 Dominated by a large three tier water feature the area really has a tranquil and restful feel to it. The sounds of moving water and the mix of the different greens of the foliage work in complete harmony. 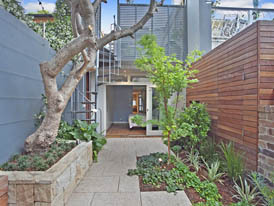 Equally impressive at night our client is delighted with the results that really add to an already impressive residence.